Q. I have a slab in front of my garage that is cracked due to frost heaves. Previous owners redid the garage floor about 5 years ago - it is now three inches higher than the slab in the driveway, making it impossible to drive a vehicle in the garage. I want to pour new concrete over the top of the cracked slab and on a gradual incline to meet the garage floor. 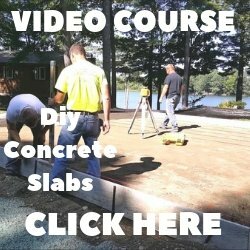 I am looking for the best advice on how to pour concrete over the existing slab. A. The first thing I would do is figure out why the concrete is heaving. 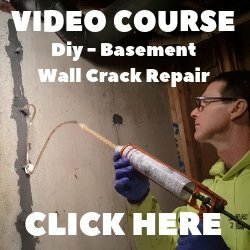 Is moisture settling under the concrete and freezing? Does the concrete have the proper gravel sub-base? Does the existing landscape slope away from the concrete driveway to keep surface water from getting under the driveway? If the existing concrete is still heaving, any concrete you place on top of it will crack in the same place. We do place concrete on top of concrete, if the concrete is 3 inches or thicker we do it unbonded, with some typar in between the two slabs. If the concrete is 3 inches or less, we bond the two slabs together using a product called Weld Crete. If you think the concrete is still moving (heaving), your best bet would be to remove the existing concrete, install a proper gravel base, then re-pour a new concrete driveway that slopes to meet your garage floor.